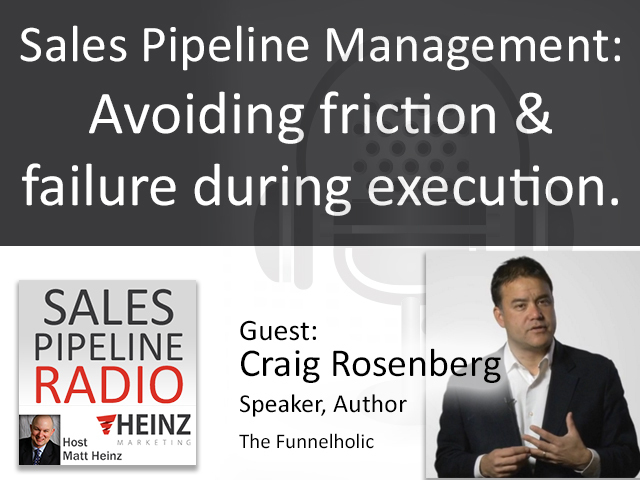 Craig covers that showing tools can destroy your pipeline. "Send them a link, show them the product." That's too easy. This can cause friction in the revenue chain. He and Matt discuss common definitions and objectives. If you don't do this, everything else breaks down and failure is inevitable. "I help organizations sell and market more effectively. I am passionate about my customers and their success which has allowed me to create enduring, mutually beneficial relationships over the years. You can learn more about my view of the sales and marketing universe via my blog www.funnelholic.com and my work on my company blog,http://blog.topohq.com/. I have recently started posting my content on LinkedIn so stay tuned for more."